See more objects with the color dimgrey rosybrown darkolivegreen slategrey darkslategrey or see all the colors for this object. This is a Spoon. It was made by Pavel Ovchinikov and retailed by Theodore B. Starr. It is dated ca. 1890 and we acquired it in 1944. 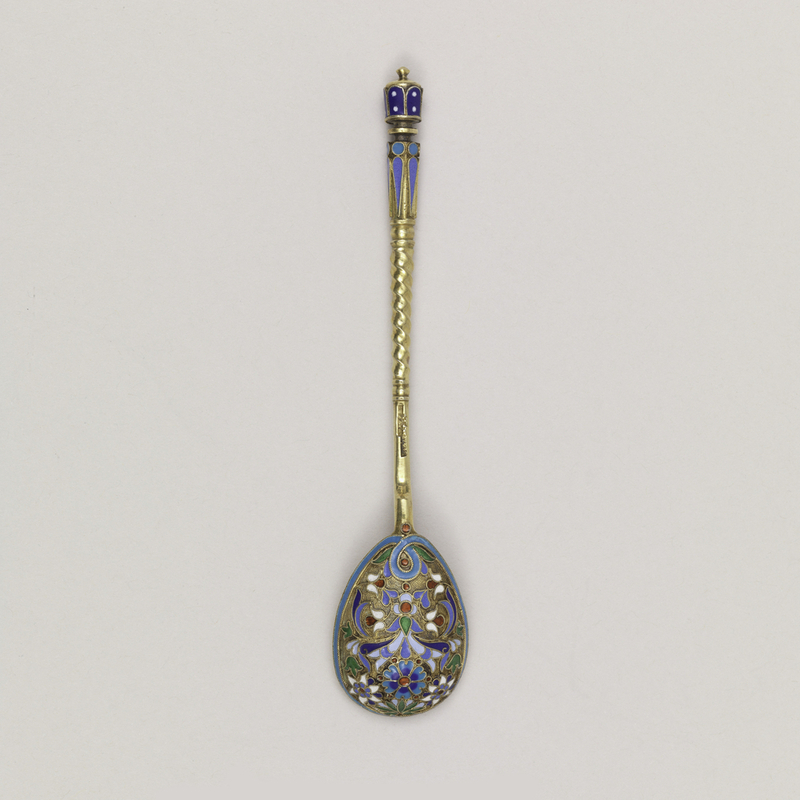 Its medium is cast and cloisonne enamelled gilt silver. It is a part of the Product Design and Decorative Arts department. (a-f): On each handle: stamped "84": silver fineness, St. George and the Dragon (for Moscow), "AP"(cyrillic for "AR" for A. Romanov, assay master), and "P. Ovchinikov" in cyrillic with imperial eagle mark (purveyor to the czar).